Gayle Ahern is the Office Manager at Elders Emerald. 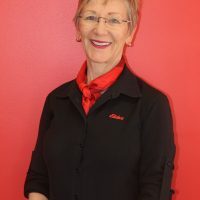 As the office manager, Gale possess a great communication, analytical and leadership skill set to ensure everything runs smoothly within the business. Gayle has worked alongside Wendy since first starting in 2009. Gayle has been supporting the business by assisting in the Property Management department, developing and implementing administrative control systems, supervising personnel, setting up appointments/conferences for clients, and much more. Having years of experience helps Gayle communicate well with clients. She looks forward to working with our current clients, and to meeting new ones as the business continues to grow. You can expect 100% transparency, high attention to detail, and a passionate attitude around ensuring the best result for each client. Please email gayle.ahern@eldersrealestate.com.au for any enquiries. Would you like to speak to Gayle?